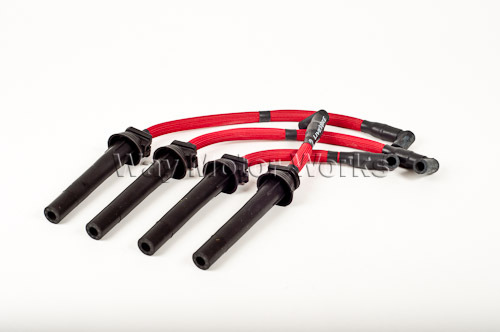 LiveWires Spark Plug Wires for 2002-2006 R50,R53 MINI Cooper and Cooper S and 2005-2008 MINI Convertible. 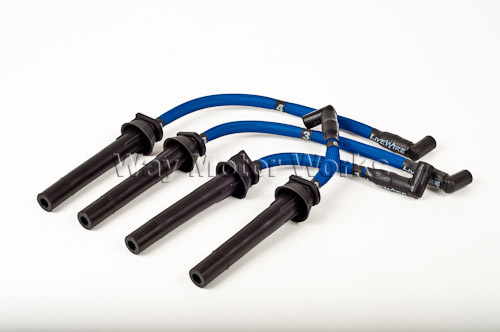 Live Wires have heat resistant sleeving that provides superior protection to the plug wires from the extreme under hood temperatures generated by the exhaust. The sleeving is a non-flammable heat treated glass braid, much like the type used on todays ovens. The unique sleeving on the LiveWires provides heat protection up to +1400° F and offers excellent resistance to moisture and chemicals. 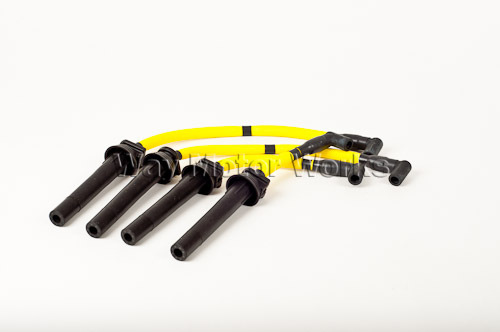 voltage leakage and keep wire terminals and boots from sticking to the plug. Wires come as a set of 4, enough for one MINI, and pack of Dielectric Grease.